CIT vs. Maruti Udyog Ltd. This is an appeal by the Revenue against the impugned order dated 11th October 2004 passed by the Income Tax Appellate Tribunal (‘ITAT’) dismissing the Assessee’s appeal being ITA No.1240/Del/2003 for the Assessment Year (AY) 1999-00. The Revenue is aggrieved by the said order only in respect of some of issues which have been held in favour of the Assessee and against the Revenue. i. Whether the ITAT is right in law in holding that unutilized MODVAT credit of earlier years amounting to Rs.77,55,78,738/-adjusted in the assessment year in question should be treated as actual payment of excise duty under Section 43B of the Income Tax Act, 1961 (‘Act’)? ii. Whether the ITAT is right in law in holding that Rs.3,84,55,412/-representing sales tax paid on raw material and computers in the preceding assessment years should be allowed as a deduction in the current assessment year by treating it as actual payment under Section 43B of the Act? iii. Whether ITAT is right in deleting the addition of Rs.20,60,14,392/-representing customs duty of imports of inputs by relying upon Section 43B of the Act? iv. Whether the ITAT is right in holding that Rs.31,79,98,407/-on account of duty drawback had not accrued and become payable to the assessee and cannot be included in the taxable income of the Assessee for the AY 1999-2000? v. Whether the ITAT is right in holding that customs duty of Rs.2.99 crore paid on 28.4.1999 can be capitalised with retrospective effect and depreciation should be calculated by including the said amount in the AY 1999-2000? vi. Whether the ITAT has correctly interpreted Section 14A of the Act and is right in holding that onus under the aforesaid section is upon the Revenue and not on Assessee? vii. Whether the ITAT is right in deleting the disallowance of Rs.4.59 crores on account of interest under Section 14A of the Act? viii. Whether the ITAT is right in holding that the Assessing Officer (AO) was not justified in making addition of Rs.643.34 crore on account of excessive consumption of raw material and inputs? As far as Question (i) is concerned, in view of the order passed by this Court in ITA No. 31 of 2005 upholding the impugned order of the ITAT on this issue, the question is answered in the negative, i.e. in favour of the Revenue and against the Assessee. 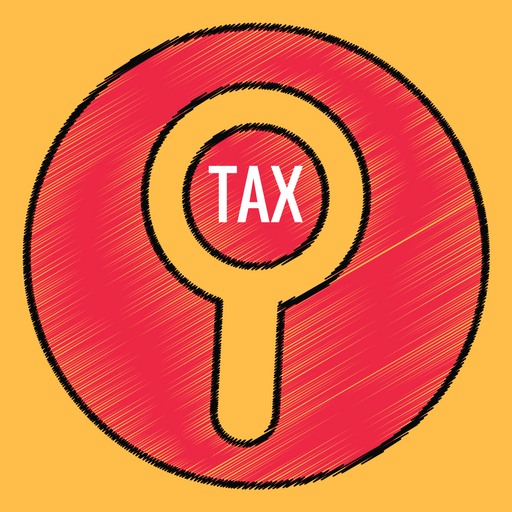 As far as Question (ii) is concerned, sales tax paid on raw material in the preceding AY was rightly allowed as a deduction in the current assessment year under Section 43B of the Act. This question is, therefore, answered in the affirmative, i.e. in favour of the Assessee and against the Revenue. Question (iii) concerns the disallowance of an addition of Rs. 20,60,14,392 representing the customs duty paid on imports claimed as a deduction under Section 43B of the Act. This was directly paid by the Assessee to the customs authorities and paid during the AY in question. Consequently, it was correctly allowed as a deduction by the ITAT. Question (iii) therefore, is answered in the affirmative i.e. in favour of the Assessee and against the Revenue. Consequently, question (iv) is answered in the affirmative i.e. in favour of the Assessee and against the Revenue. Question (v) is whether customs duty paid on 28th April 1999 can be capitalised with retrospective effect and depreciation calculated by including the said amount in the AY 19992000? The ITAT has answered the question in favour of the Assessee. In view of the decisions in Sharanpur Electric Supply Ltd. (1992) 194 ITR 294 (SC); CIT v. Woodward Governor India (P) Ltd.  312 ITR 254 (SC); CIT v. Funskool (India) Ltd. (2007) 294 ITR 642 (Mad. ); CIT v. Noida Medicare Centre Ltd (2015) 378 ITR 65(Del) and DGIT v. Official Liquidator (2008) 305 ITR 418(Mad. ), question (v) is answered in the affirmative i.e. in favour of the Assessee and against the Revenue. As regards Questions (vi) and (vii), they pertain to Section 14A of the Act. Both the issues are no longer res integra. As far as Question (vi) is concerned, it is covered in favour of the Assessee by the decision of the Supreme Court in Godrej & Boyce Mfg. Co. Ltd. v. DCIT (2017) 394ITR 449 (SC) and of this Court in CIT v. Taikisha Engineering India Ltd.  370 ITR 338 (Del). Further, the ITAT has rendered a factual finding that the Assessee was seized of sufficient funds which it could have invested and therefore, there was no question of disallowance of any amount on account of interest under Section 14A of the Act. Both questions are therefore, answered in the affirmative, i.e. in favour of the Assessee and against the Revenue. Turning now to Question (viii), in view of the decision of this Court in ITA No. 31 of 2005, it is held that the ITAT need not have remanded the matter to the AO for a fresh determination. The AO was not justified in making the addition of Rs.643.34 cores on account of excessive consumption of raw material/inputs for the reasons already explained therein. This question is disposed of accordingly. As regards Question (ix), of the two amounts that represent customs duty paid and debited to the P&L account. It is clarified by the Assessee that the amount of Rs.69,12,41,610/represents customs duty included in closing stock and Rs.50,28,051/-represents customs duty on tools imported by the Assessee which were made available by it to its contract manufacturers, also described as vendors in the question of law framed on the same issue in subsequent AY 2001-02. In view of the decision in Berger Paints Limited v. CIT  266 ITR 99 (SC), question (ix) is answered in the affirmative i.e. in favour of the Assessee and against the Revenue. In this regard, the observations of the ITAT in para 41 of the impugned are reiterated, viz. that the AO should, while giving effect to the ITAT’s order, ensure that no double deduction is allowed. Therefore, he will ensure that the deduction allowed in this year under Section 43B of the Act is included in the income of the next year when such opening stock is disposed of. 14. ITA No. 250 of 2005 is disposed of in the above terms. This entry was posted in Section 14A, Section 43B and tagged 407 ITR, Delhi High Court, In favour of Assessee, Modvat credit.